De Finale, a meeting centre operating in a building owned by the Province of Antwerp, is located in the Coveliersgebouw/Het Huis van de Sport, Boomgaardstraat 22, 2600 Antwerpen (Berchem). Boomgaardstraat is close to Albertpark and Brouwerij De Koninck (on the corner of Boomgaardstraat and Grote Steenweg). By public transport: From the city centre, take tram lines 7 (direction Mortsel) or 15 (direction Boechout) to stop Berchem-De Merode. De Finale is a 3 minutes walk away. You can also take premetro lines 2 (Hoboken - Merksem) and 6 (Olympiade - Luchtbal) to stops Harmonie or Provinciehuis. De Finale is within eyesight of bus stop Antwerpen Haringrodestraat. You can get there with bus line 30 from Antwerpen-Berchem railway station to Zuid, or bus 34 line in the opposite direction. By car: De Finale has free but very limited parking space on its premises (entrance round the corner, via Wijnstraat). You may find more parking space in the immediate neighbourhood, or near the Albertpark. For more than eight years, Toastmasters Antwerpen has been the place to be for everyone in Antwerp who wishes to improve his or her public speaking and leadership skills. At Toastmasters Antwerpen you will find a friendly and encouraging environment where you can learn, improve and grow. Fellow Toastmasters, whether you are living in Antwerp, staying a while in town for business or just travelling: be our guest! We look forward to seeing you at our next meeting! 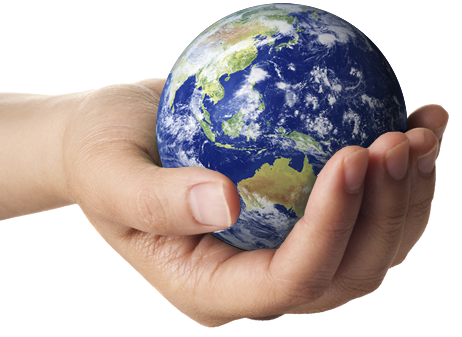 You've got the whole world in your hands, because... you are the best speaker in the world! 1. Win our Club Contest at De Finale on 19 March 2015. 2. Win the Area B4 Contest in Ghent on 1 April 2015. 3. Become Division B Champion in Luxembourg on 25 april 2015. 4. Become District 59 Champion at the District 59 Spring Conference in Porto on 15-17 May 2015. 5. Become World Champion of Public Speaking at the Toastmasters International Convention in Las Vegas on 12-15 August 2015. The same roadmap applies if you are the best speech evaluator in the world! And what if you don't win? Well, then at least you have had the courage to compete with the best speakers that surround you. Enlarging the arena, one contest at the time: that's what counts. Getting out of your comfort zone, raising the bar for yourself and coping with the pressure of a contest: that already makes the experience worthwhile! So to all contestants: break a leg! To all others: come and root your fellow club members to world fame! Er wordt deze lente ook een Nederlandstalig kampioenschap georganiseerd, zowel voor toespraken als voor evaluaties. Er zijn twee voorrondes: op clubniveau en op Areaniveau. De finale heeft plaats op 9 mei in Leuven. Leden die willen deelnemen, melden dit zo snel mogelijk aan de VP Education! Ce printemps, un concours de discours en français ainsi qu'un discours d'évaluations seront organisés au sein de notre District. Les différents tours auront lieu les mêmes jours que les concours en anglais, tant au niveau du club, qu'aux niveaux du Secteur, de la Division et du District — les finales tenant lieu lors de la Conférence de District à Porto. Les membres souhaitant participer sont priés de s'addresser au VP Education! Demo Meeting in "Kasteel van Schoten"
Your IP: 3.91.157.213 Has been recorded for protection against fraud and abuse.